At Blue Air One Inc., we help you respond to your residential or commercial building’s efficiency needs by providing you with a wide variety of heating, cooling, and indoor air quality products. For over 15 years, we have been providing Linden, NJ and nearby areas with York products that are dependable, long-lasting and fit for the unique needs of their home or building. We put our name on the products that we offer, and we stand by them with a 10-year warranty (some restrictions apply) on all parts and labor. By reducing your home’s carbon footprint to giving your home a healthy atmosphere at lesser energy costs, we give you quality products that are worthy of your investment. Heating and cooling systems are a great investment, and we understand that you don’ want your money to end up in a low-quality type of systems. That’s why we’re here to offer you the best devices at a reasonable price. 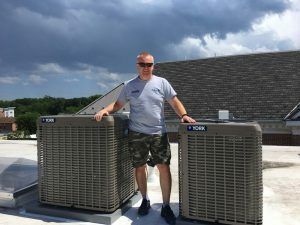 Whether you need an air conditioner, heater, or smart equipment, Blue Air One Inc. can offer you a wide range of York products that are highly efficient and sustainable. We at Blue air One Inc. believes that effective climate control is about comfort and efficiency. That’s why we make sure that the products we offer are providing your home with enough heating and cooling without consuming more than the necessary amount of energy. This way, you are doing your share in saving the planet while taking advantage of the efficiency our products provide. Call us at Blue Air One Heating and Air Conditioning for consultation, and we’ll help you find the unit of your dream. 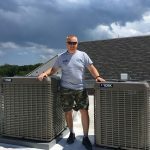 When you choose us, you can expect the expert service you need so you can have the peace of mind knowing that your system will work properly for many years to come. Contact us at 908-275-3953 to learn more about our products and services. or want to use our services? Call us today!